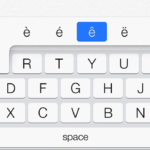 Making Spanish characters on your iPhone or iPad is easy. Simply, press and hold the corresponding non-accented letter. A popup will appear. Slide across to the desired character, and release. 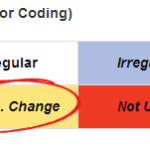 What is an Orthographic Change? In Spanish, an orthographic change is a spelling change required in order to maintain the sound of the infinitive due to certain consonants changing sound based on surrounding vowels. Lifehacker recently asked its readers to name the best language learning tool. Find out what their readers recommended. SpanishConjugation.net — the BEST online Spanish verb conjugator — is now even better! We’ve doubled the number of verbs and created the best search available.